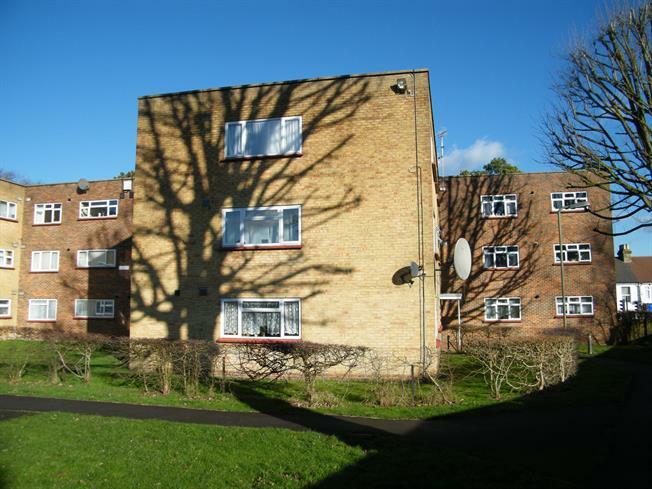 3 Bedroom Flat For Sale in Caterham for Asking Price £275,000. Offering a superb amount of space for the price, this three bedroom property has been updated by the current owner. All three bedrooms are doubles with the smallest measuring 10'11 x 9'10 Situated on the first floor, the apartment features a refitted kitchen, a modern refitted bathroom and a separate WC. The double aspect lounge measures 20' and faces south westerly over the shared rear gardens. Outside there is a useful storage unit in the communal hallway as well as residents parking to the rear of the complex and a drying area..
With doors to bedrooms, bathroom and WC and to lounge. Useful airing cupboard with space for tumble dryer. A great sized double aspect room with a westerly outlook over the gardens and beyond. Built in storage cupboard and doorway through to the kitchen. Refitted with a range of base and wall cupboard and drawer units with work surfaces over and integrated appliances. Window overlooking the gardens. Useful larder/store cupboard. A side aspect double bedroom. A side aspect double bedroom with built in wardrobe/cupboard. Refitted by the current owners fitted with a white suite comprising low level WC, wash hand basin and panel bath. Modern tiled walls. There is a storage unit on the landing of the communal hallway for exclusive use of flat 4. To the rear of the development there is residents parking as well as a communal drying area.